I went shopping for my walker! 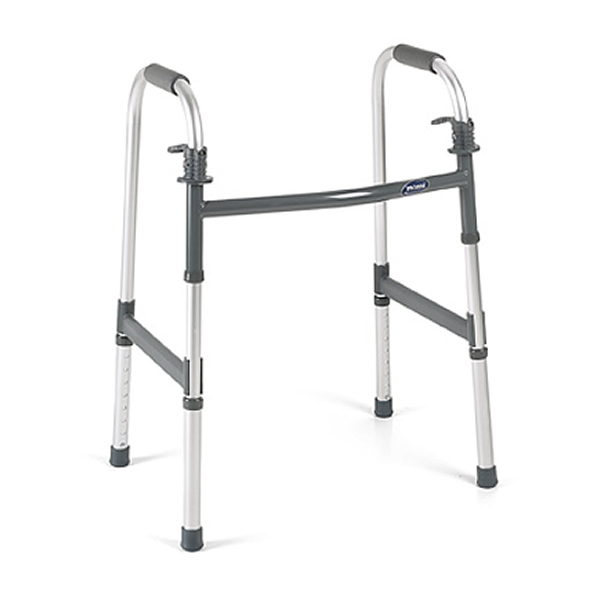 Since I was going to be an old man, I insisted on a light-weight, aluminum walker. I identified one feature where quality is important: I wanted solid rubber hand grips. I'm a large man and break into a sweat easily, so they needed to be pitted rubber for a solid grasp. 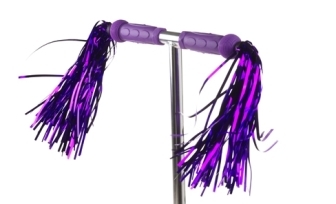 The streamers that fluttered down the back of the handles could be vinyl, but the handles themselves had to be rubber! Next, I needed a change tray across the top for my room key and quarters for my beer. Oh! And I needed a one-beer beer koozie because us old men don't have quite the bladder capacity that we once had. I needed/wanted a modesty panel for the front of my walker (same issue: bladder capacity). At this point, I couldn't decide if I wanted tasteful pin-stripes around the edge of my modesty panel or if should add an air scoop and zebra strips. 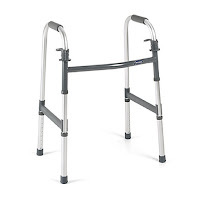 Life distracted me, and I never did purchase my walker. Twin deluxe rear view side mirrors. Someone suggested a gun rack (Louisiana, remember? ), but we could not figure out a way to mount it. I didn't have a gun but I could use it for my umbrella. I should have a plastic ID bracelet with my name and room number. Cell phones/mobile phones weren't en vogue at the time, so holders haven't been suggested. yet. Funny how my perspective has changed now that I'm in my sixties: Thirty-somethings look like kids, but I'm even more serious about tricking out my old-age-accessories!